Employers are at fault for all workplace-related incidents and accidents. However genuine unforeseeable accidents really do happen from time to time, and employer’s are not always at fault for problems that occur on site. Although the main burden of responsibility for health and safety lies with the employer, every single employee has their part to play. According to the Health and Safety Executive (HSE) there are five key duties that each of your workers needs to carry out. From the moment your employees arrive on site they are responsible for using their own common sense and training to maintain their personal safety. Equally important is the obligation to protect the welfare of their colleagues and the general public. Obviously your staff need training to ensure they can do their jobs safely, but after that they shoulder much of the responsibility for working safely within the guidelines you set. Your competent person should already be aware of your company’s health and safety obligations and have instituted programs and plans to ensure you meet them. These plans will of course involve your employees who will need to carry out various checks and tasks to ensure equipment and conditions are safe. Failure to carry out these duties could result in an accident for which they will be at fault. Your staff are duty bound to follow any instructions and training that your business has provided to improve heath and safety. All of your instructions should be issued in line with risk assessments and known dangers so that staff are kept safer by following them. If employees fail to follow instructions, they could be personally liable for any injuries or harm caused by their actions. In the event that one of your employees identifies a situation that presents an immediate health and safety risk, they are duty-bound to report it to their line manager or your company’s responsible person. This then allows you to re-assess any risk and implement measures that prevent accidents. Employees need to be reminded of this responsibility, and your business should encourage workers to come forward whenever they spot a problem. Very similar to the responsibility to report dangers, employees also have a duty to make you aware of failings in your current health and safety provisions. This means that staff need to understand current provisions and always stay alert for ways by they can be improved. Again your staff need to be empowered to give feedback whenever necessary. 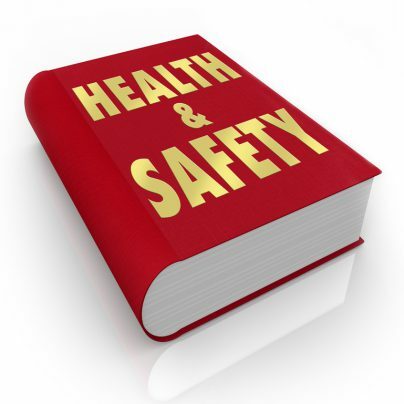 How does your business make employees aware of their health and safety responsibilities? Do you have any good tips to share?